This month's Boston Modern Quilt Guild meeting was share your first quilt. I couldn't make it to the meeting but I figured this was a good time to blog about my first quilt. 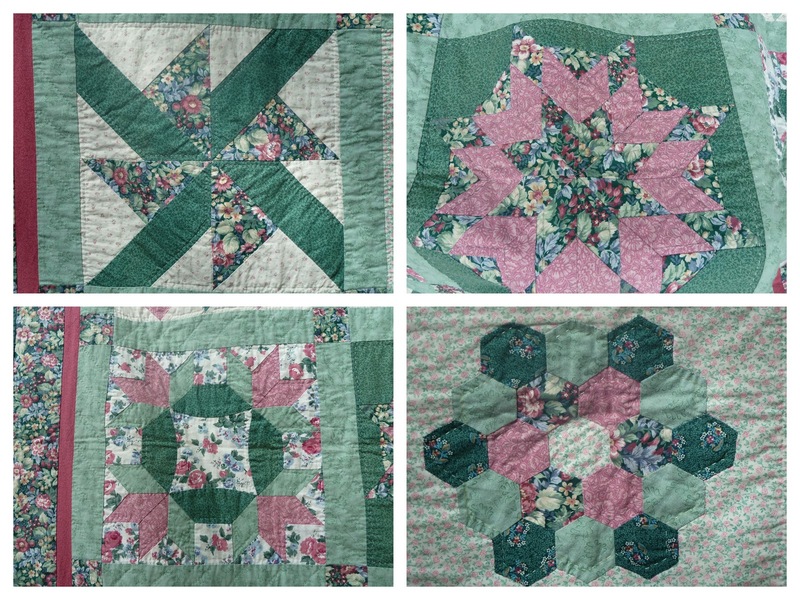 I have to confess, I started quilting before the renaissance, before blogging, before the modern quilting movement, before rotary cutters... way back in 1993. 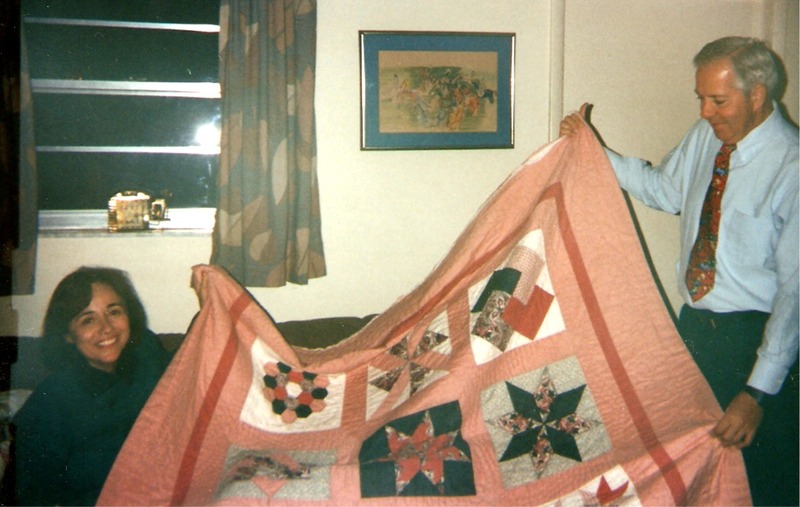 I did grow up with some quilters in my family but I certainly didn't know any other 20-somethings who were doing it. Nevertheless, one day I woke up with a compulsion to learn to quilt and promptly signed up for a class at the only quilt shop around, Tumbleweed (if that gives you an idea of their fabric selection) oddly enough in Harvard Square. From there we made plastic templates for each block and assembled increasingly difficult blocks. Curved piecing, the dreaded Y-seam, applique... I will say it was comprehensive. Session 2 moved on to sashing with cornerstones and borders and finally our tops were completed. 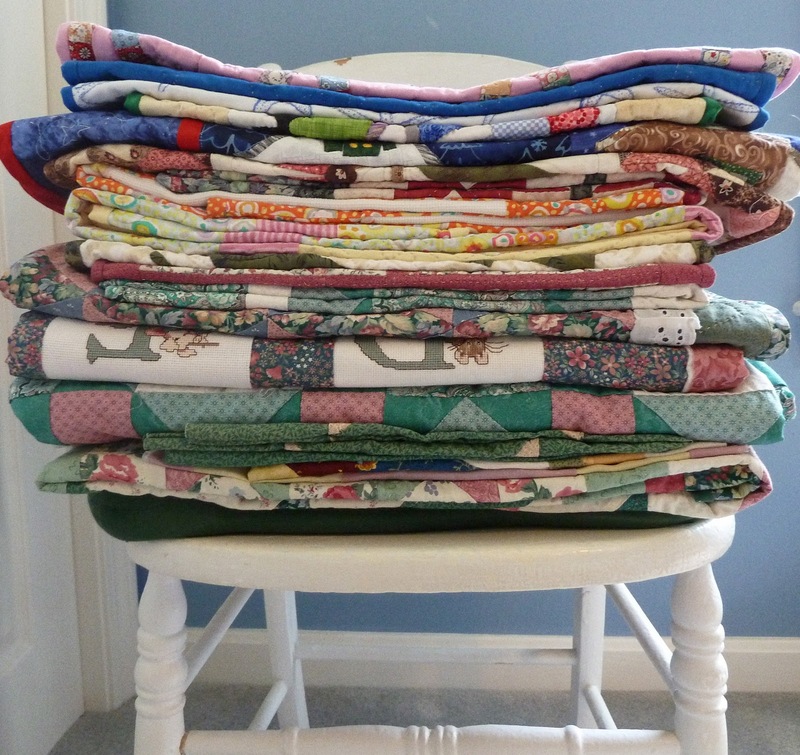 Now it was time to sew baste our quilt sandwich and learn to (hand) quilt. I dutifully stitched 1/4" from each seam line and did some crosshatching in the sashing but then totally punted on quilting the outer border. I liked it so much I promptly made another one as a Christmas gift for my parents. You can't really see it in the pictures but on this one I got really fancy and quilted feathers through the sashing and borders. OMG I never would have finished! Love the first quilt & we missed you at the meeting!